The Ellipse Softy with Stylus is a stylish, premium metal pen available in your choice of black or blue medium ballpoint ink. Choose from a variety of rubberized soft touch product colors to showcase your laser engraved company name, logo or advertising information. 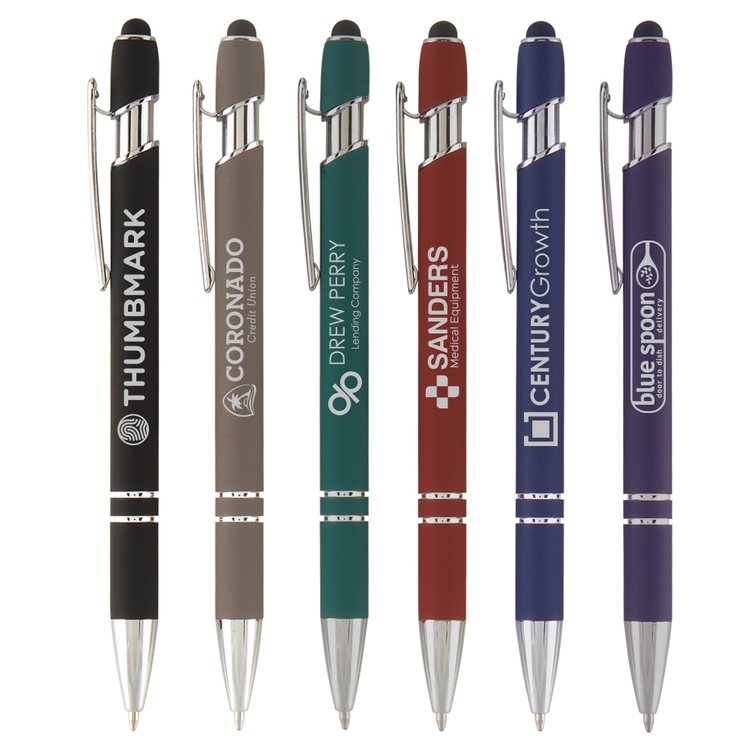 This eye-catching promotional pen will be a favorite at conventions, trade shows, corporate functions and more!